Jennifer McKenna-Morbelli, a 29-year-old kindergarten teacher, and her husband, Timothy James "TJ" Morbelli, had eagerly anticipated the birth of their baby, named Madison Leigh. However, because of a prenatal diagnosis, Jennifer, accompanied by her parents, husband, and sister traveled from New Rochelle, New York to a late-term abortion facility in Germantown, Maryland on Sunday, February 3, 2013. Madison was 33 weeks gestational age. Germantown Reproductive Health Services is a National Abortion Federation member facility, which means that it supposedly provides only the best and safest care. 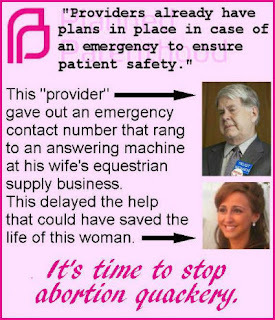 However, it is operated by Dr. Leroy Carhart, who had already had a less than savory history and whose late term abortion clinic in Belleview, Nebraska, looks like a muffler shop and had employees coming forward reporting illegal and dangerous practices. The prolifers who gather outside when Carhart is perpetrating abortions report seeing the woman arriving for her appointments on Monday, Tuesday, and Wednesday, appearing "pale and weak." 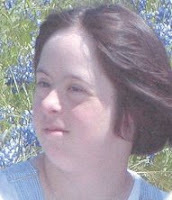 Jennifer spent over nine hours at the facility on Wednesday. After she was discharged, Carhart and his wife left the state to work at another abortion facility. According to Operation Rescue's anonymous source, Jennifer started suffering chest pain early on Thursday morning. She was unsuccessful in her attempts to reach Carhart. Finally, at about 5:00 a.m. her family took her from the hotel to the emergency room. Hospital staff were unable to get in touch with Carhart either, though he eventually did return their calls. Jennifer was suffering from massive internal bleeding and coded six times as staff struggled to stabilize her. She finally died at around 9:30 a.m. The medical examiner indicated that Jennifer died from disseminated intravascular coagulopathy (DIC) caused by an amniotic fluid embolism (AFE) -- in other words, amniotic fluid and fetal tissue got into her blood stream and caused a cascading series of catastrophic problems including the inability of her blood to clot. AFE and DIC are rare and difficult to predict, but are also a known complication that abortion doctors should be alert for and ready to quickly diagnose and treat. This is the second third-trimester abortion patient to die under Carhart's care. The first was Christin Gilbert, who was being treated by Carhart at George Tiller's Wichita abortion facility in 2004. On February 11, 1871, Dr. C. C. O'Donnell was arrested for murder in the death of 20-year-old mother and homemaker, Addie Hand of Clemtina Street, San Francisco. Addie had died at her home on February 7. "She was buried on a certificate that she had died of a congestive chill. The publicity given to startling rumors concerning her death led to the body being exhumed, when an examination disclosed the fact that an abortion had been preformed." An inquest found that she had visited O'Donnell twice before her death. Addie's friend Jennie West testified that Addie had told her that O'Donnell had made two attempts to perform an abortion on her. Her sister-in-law also said that Addie had named O'Donnell as the abortionist. O'Donnell was arrested. However, there was insufficient evidence to hold him, and O'Donnell was released. Addie's husband, Joseph, was left to care for their little daughter, May, who had been born just the previous June.